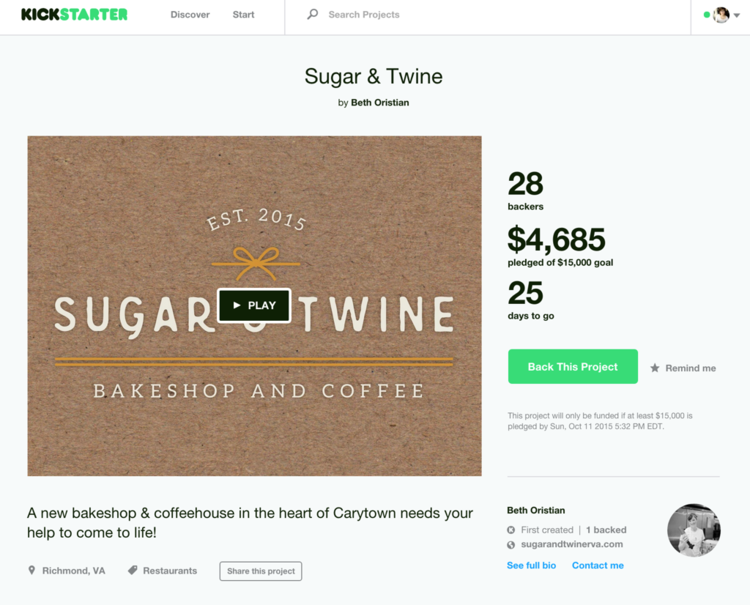 Help Kickstart Sugar & Twine! — Campfire & Co.
Help Kickstart Sugar & Twine! 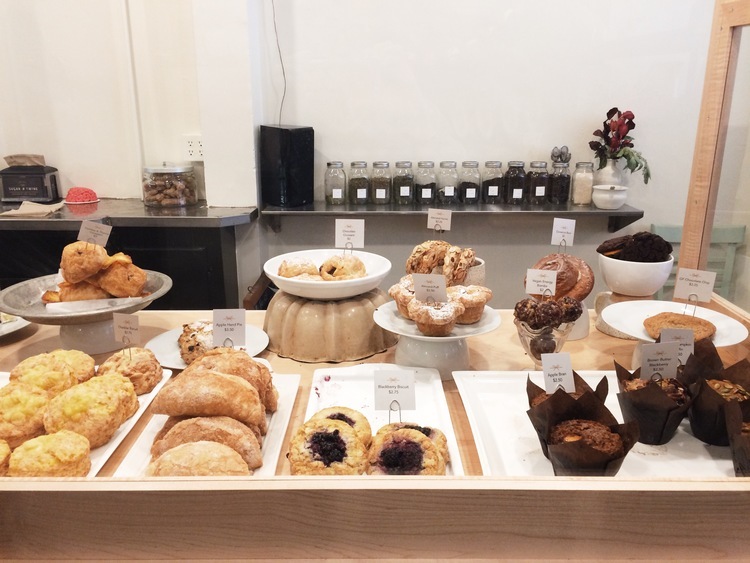 Sugar & Twine is soon to be Carytown's newest modern and welcoming bakery and coffee shop and they need your help! Beth Oristian is working to raise $15,000 to help transform the interior lounge area before Sugar & Twine's grand re-opening. Contribute to her goal here! Offering baked goods made in-house alongside daily lunch specials and locally roasted coffee, Sugar & Twine's bake shop is a place for locals, students, foodies, and the weekend shopper to pause for a delicious treat among an active and inviting atmosphere, one that feels as comfortable as your own home. Sugar & Twine prides itself on authenticity and transparency by giving a peek into the process through views into the kitchen and prep area. Sugar & Twine's mission is to bring joy to every experience, from daily interactions with neighborhood regulars to providing wholesale goods to restaurants, and being a supportive host to community events. Campfire & Co. worked closely with the owner, Beth Oristian, to develop a graphic identity and interior environment that embodied her passion for providing premium quality, small-batch food and beverage to a diverse audience of neighbors, students, and busy Carytown shoppers. Campfire & Co. worked closely with the owner, Beth Oristian, to develop a graphic identity and interior environment that embodied her passion for providing premium quality, small-batch food and beverage to a diverse audience of neighbors, students, and busy Carytown shoppers. Check out more details on our work with Sugar & Twine here.